Lykes Bros. Steamship Co., Inc.
of New Orleans, a subsidiary of The LTV Corporation, has set up container freight stations at Atlantic, Gulf, and interior cities for intermodal service via the West Coast to and from the Far East. 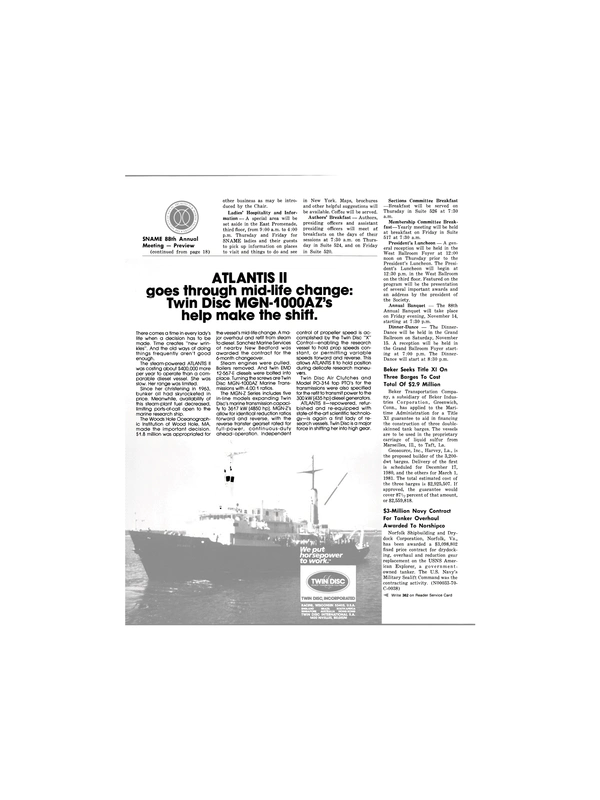 This arrangement allows a shipper to move his cargo between the Far East and, for example, New York, via the West Coast on a single through bill of lading issued by Lykes. The cargo moves via Lykes's trans-Pacific service on the ocean leg of the trip, and by rail on the land portion. Service can be house to house, pier to pier, or in combinations of the two. Lykes container freight stations already are in operation at Boston, New York, Philadelphia, Baltimore, and Norfok, and are being established at several South Atlantic cities. Stations are in operation on the Gulf at New Orleans, Houston, and Mobile, and inland at Memphis and Nashville. Lykes provides U.S.-flag liner service between the West Coast and Far East with roll-on/roll-off ships and combination containerbreakbulk vessels. The line's fleet of 44 ships operates on a total of seven trade routes covering five continents. Lykes also offers intermodal service to and from South and East Africa, the Mediterranean, and Continental Europe.